It's not often that I find a lip balm worthy of taking me away from my beloved Bonne Bell LipSmackers. (Yes, I am a teenager at heart.) But recently, I've upgraded my lip routine to include two seriously luxurious lip balms -- and now there's no looking back. 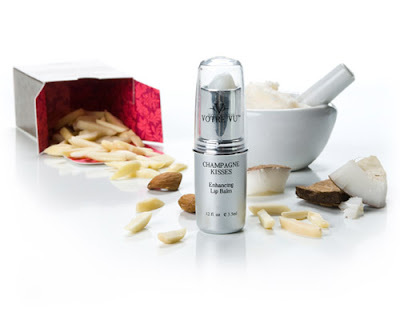 I'm speaking, of course, about Votre Vu Champagne Kisses and Decléor Nutri-Smoothing Lipstick. Each of these balms leave my lips feeling soft, smooth, utterly moisturized ... and do so for hours and hours and hours and ... well, you get the point. Votre Vu's gem is formulated with sweet almond and coconut oils and shea butter to moisturize and nourish even the driest, most chapped lips in an instant. It's said to plump up lips as well, which I haven't noticed happening, but my lips are already fairly plump to begin with! $29 at votrevu.com. 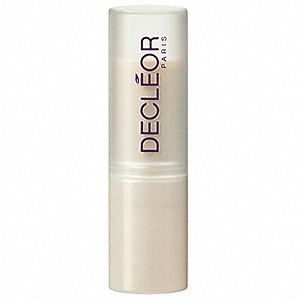 Decléor contains tons of plant oils (coconut, macadamia, plum kernel, hazelnut, rice), barley grain, shea butter, bamboo sap, angelica essential oil, and essential waxes (rose, acacia and narcissus). What does this mean? Lips are nourished, comforted and softened even while you leave it on overnight! $24 at decleordirect.com. Votre Vu – that is all I am saying. You HAVE to try it to believe the amazing results. At 41, my skin is in better condition than when I was in my 20′s. A MUST have for any skin type or concern. Remember, your skin is the ONE accessory that you will have for life! Treat is well!! I use Champagne Kisses daily and so do my boys! This cold weather has been awful on their sweet little lips. Definately worth trying along with the other fabulous french products in the Votre Vu line!